KF Appoints a New Head Chef! So after 2 years of working with us we are pleased to announce that the fantastic John has agreed to be our full time head chef! After working at various places over the years including Head Chef at the Seaview Hotel on the Isle of Wight, a 2 x AA Rosette restaurant that won dinning experience of the year in 2010; Sous Chef at Madishead, a 1 x AA Rosette restaurant in Norwich; Head Pastry Chef at Oneup, a 2 x AA Rosette restaurant, also in Norwich; and Chef at the award winning Lake Restaurant at St Michael’s Manor in St Albans; John brings a wealth of ideas and fantastic skills to our ever developing kitchen. Dan & John worked on the new menus before Christmas and I’m pleased to say our critics have raved about them! Also all of the 2014 couples who have been in for tastings have loved the style and finesse that John adds to the delicious dishes. 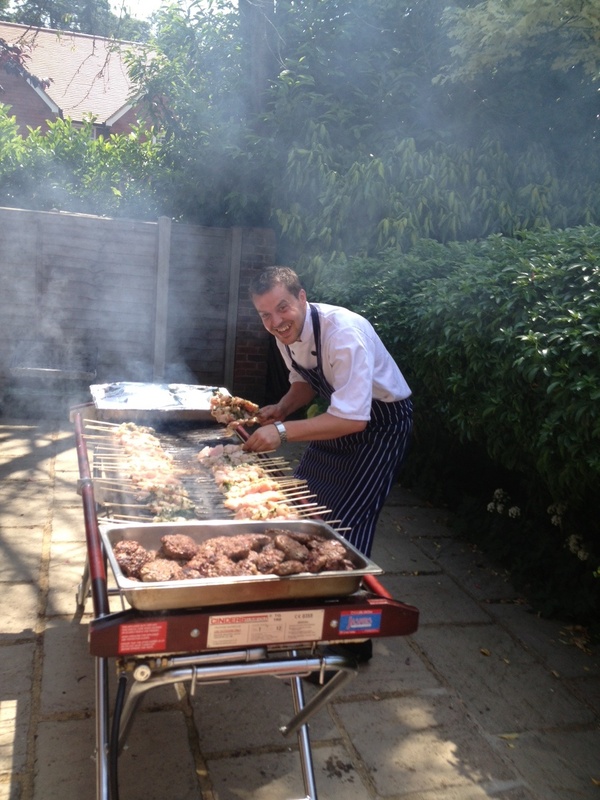 Not only is he a great inspiring chef but an absolute pleasure to work with, bringing fun & laughter to the events. Welcome aboard John, here’s to a successful, enjoyable year! Cheers! Looking at the busy year ahead we are now in the fortunate position of having to recruit new staff. We are looking for anyone with waiting or customer service experience to join our happy busy team! The great thing is that you can do as many or few shifts that you want as we don’t hold you to every Saturday! Although during the summer you could do every weekend if you wanted! 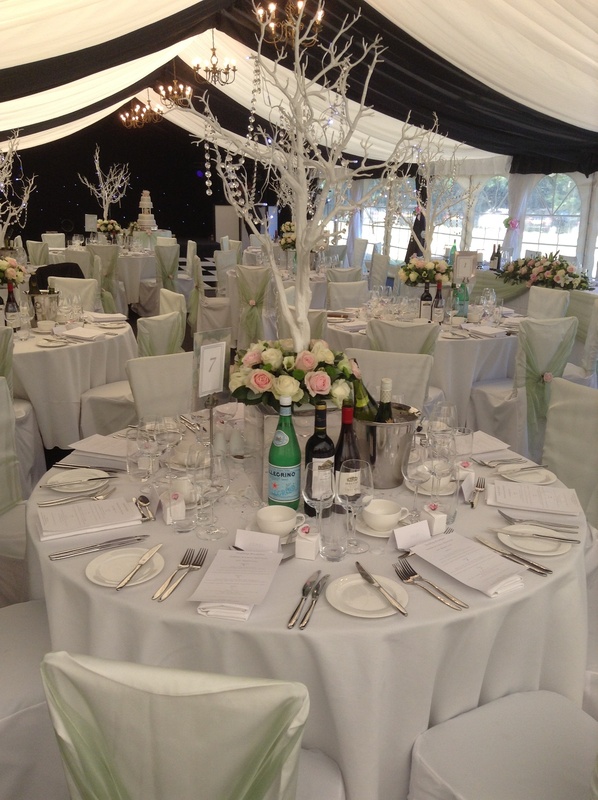 we have weddings booked in marquees, tipis, hotels all over Herts, Beds and Bucks, so every weekend is different and the best bit? You get to go to a wedding every weekend a be part of someone’s very special, magical day! 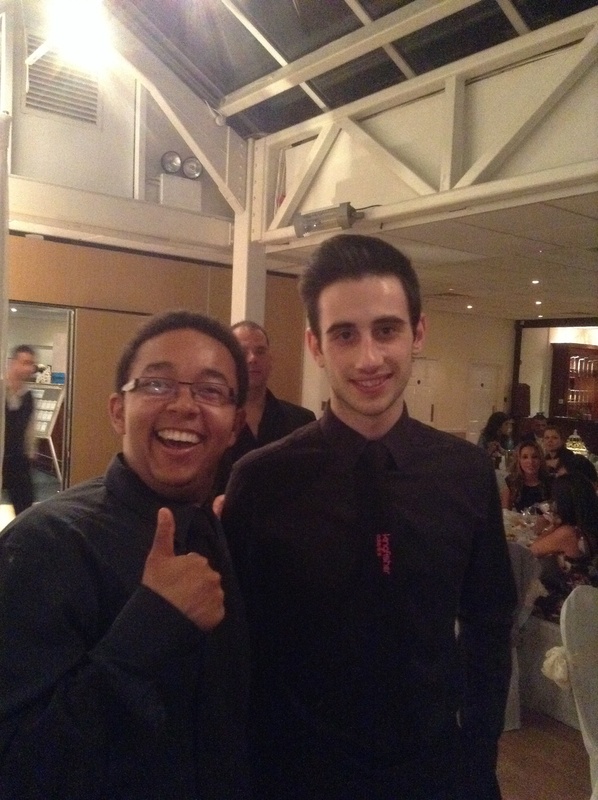 Here are some of our happy staff! Francis & Tom. Week of tastings, new menus. This week has seen us busy at the unit meeting with new couples who have come in for tastings of the new menus ahead of their weddings this summer. It’s a lovely opportunity for us to get to know them and understand their ideas for their special days. Now it’s 2014, it’s only months away for most of them and finalising details is so exciting! I met with Ben & Emily yesterday who are getting married in September, they have booked Tipis, booked us and came in to decide on their canapé choices and lamb main course, they loved both! cooked to perfection by John, as always. 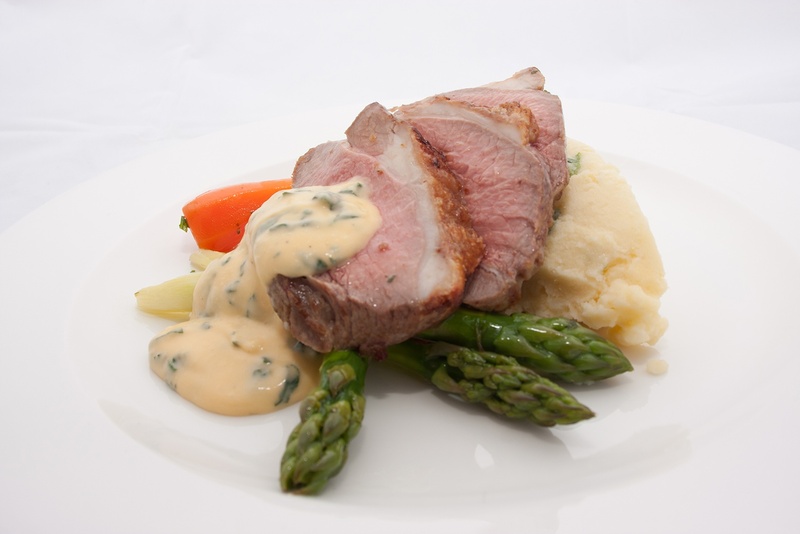 Or Roasted rump of lamb, chantennay carrots, asparagus, colcannon mash, mint hollandaise? Ten New Year Resolutions for our 2014 brides to be! According to this months Wedding Magazine these are the top 10 resolutions you should all be making! #1 I will… remain cool, calm and collected! For the last year you’ve known your wedding will be taking place next year, but now the clock’s struck midnight and, quite suddenly, it’s happening this year. THIS YEAR. And that’s beyond exciting, and totally terrifying too. Don’t start your wedding year in a panic, instead write a detailed schedule of all you need to do in the run-up. Not only will it look totally doable – it is, we promise! – but it’ll also look way more exciting too! #2 I will… keep the peace! Emotions run high where weddings are concerned. Whether it’s a spat between bridesmaids, or an upset mother in law (because you’re not wearing the ‘vintage’ hat she married in) – it will be up to you and your fiancé to keep the peace between the different people in your life. Ironing out any issues in the run-up to the wedding will ensure everyone’s happy and nothing kicks off on the day. #3 I will… get my beauty sleep! From your hen do right up to the night before your big day, this is going to be one hectic year of big marriage-milestones! You might be tempted to stay up late folding invites or even find yourself ticking off your to-do list as you lie in bed, but remember everything is so much easier when you’ve had a full eight-hour kip. So, start as you mean to go on and make this the year of rest and relaxation. #4 I will… be decisive when I need to be! We can all be indecisive at times – whether it’s umm-ing and ahh-ing over a menu or picking out clothes while shopping. But now it’s the Year of the Wedding, you’ll need to start narrowing down your options. Long dress or short? White flowers or bright flowers? Fruitcake or cupcakes? Once you start making those definite decisions, everything else will start falling into place. #5 I will… keep the romance alive! Does it feel like all you talk about these days is the wedding? It’s easy to get stuck inside a wedding planning bubble where you start to dream about table plans. If your relationship is less fifty shades of grey and more fifty shades of potential colour scheme swatches, then it’s time to set some time aside for the two of you where the W-word is banished. Take a trip to the cinema, go out for dinner or, if you’re in tight budget mode, just go for a walk. The most important thing is your relationship, so make sure it doesn’t become second priority to all things wedding. #6 I will… remember no big day is perfect! It’s good to set high standards for your wedding day, it is your wedding day after all! Just try not to set them so high you find your blood pressure creeping up to perfection mode. For instance, it’s quite possible you won’t be able to achieve the floral arrangements of Kate Middleton at the abbey, so it might be time to stop googling Field Maple trees and instead meet up with your local suppliers to discuss the fantastic florals they can supply. #7 I will… learn to delegate! The big day’s looming and you already have a lot on your bridal planning plate, so choose a handful of people you trust and let go of some elements of your big day. Whether it’s letting your fiancé book the transport, or your maid of honour coordinate the flowers, delegating means you’ll be able to spend more time on the other aspects of your day without having a wedmin-related breakdown. #8 I will… book my honeymoon! After the biggest day of your life… comes the biggest holiday! It might be a cold, dark, January outside but nestle on your sofa with your fiancé and start researching some fabulous breaks together. Make sure you buy the new copy of Wedding on January 9th, because we’ve got a fabulous supplement sponsored by Sandals – packed full of amazing honeymoon ideas. As well as the chance to win a dream trip too. #9 I will… take up something new! New year resolutions are often focused on the negative: giving up chocolate, coffee, gossiping… Instead, why not focus on the positive and start something new? Whether it’s an exercise class, adding something healthy to your diet or even learning a skill like sewing (perfect for that home-made bunting you had planned), find your ‘something new’ well in advance of the big day. #10 I will… enjoy the planning! It’s natural to feel a little daunted at the thought of organising the biggest day of your life, but this is something you will only do once, so rather than let it become a chore make sure you take the time to enjoy each step. Go with an empty stomach to the food tasting, swish around as much as you can at the dress fitting, pick up some extra blow-dry tips at the hair trial and have the girly night of your lifetime on your hen do. It’s going to be the most fun ever!